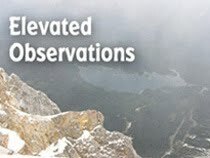 Before moving on to the review, I need to address a few recent omissions here on BHT. In my review of Songs For Mara by The Red Plastic Buddha, I should have mentioned that “A House Is Not A Motel” was originally recorded by the band Love. Also, when I mentioned other worthy psychedelic bands in the Chicago, the list should have included Hushdrops. I’m sure I missed others Chicago psyche bands, but here’s a review that originally appeared in the Illinois Entertainer. 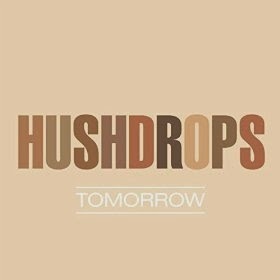 Ending a 10-year absence from the recording studio, the Chicago-based Hushdrops have returned in a big way with Tomorrow. The ambitious double album of prog and psychedelic rock once again finds John San Juan handling lead vocals, as his guitar playing rampages through elaborate arrangements and occasionally springs out of nowhere. Bassist Jim Shapiro and drummer Joe Camarillo also play essential roles in this adventure. The title track has a breezy 1960s vibe, thanks in part to guest musicians Nora O’Connor and Steve Frisbie, who provide backup vocals. “Have We Gone Too Far” and “Find Her” hit harder, while the energetic “You’ll Never Make It To Mars” has a keyboards interlude reminiscent of Traffic. The simple piano arrangement on “All You Have To Do Is Smile” evokes Paul McCartney, and “Vague,” with its pounding drums and extensive jamming, makes for a rousing finale. The CD version of Tomorrow includes the bonus track “Valentine,” a lighter indie rock with echo vocals and a catchy melody.